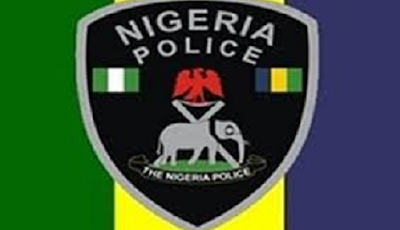 A 57 -year-old woman, Elizabeth Oyindo, who allegedly stabbed a police officer with a broken bottle was on Friday arraigned before an Ikeja Magistrates’ Court in Lagos. Oyindo, who resides at Ijaiye Ojokoro was arraigned on a three-count charge of conspiracy, breach of peace and assault. The prosecutor, Sgt. Mr. Godwin Awase, had told the court that the suspect committed the offences on Jan.17 at her residence. He said that the accused and others, still at large, conspired to assault a police officer, Francis Azuruna, with a broken bottle. “The accused stabbed the complainant with a bottle while performing his lawful duty,” the prosecutor said. Awase said the complainant was sent to the house of the accused to restore peace between her and some staff of electricity company when he was assaulted. “The Ikeja Electricity Distribution Company (IKEDC) wanted to disconnect electricity supply to the apartment of the accused for owing. “The accused invited some hoodlums who came to remove and seize the ladder which Mr Yusuf Oloyede, a staffer of IKEDC, used to climb up while he was still on top of the poll. “Another staff of IKEDC called the Divisional Police Officer (DPO) of Ojokoro Station who sent the complainant to the scene. “On getting there, the accused and others attacked him. The accused was dragging his riffle and in the process stabbed him with a broken bottle on his right hand. “The accused was later arrested, while others escaped,” the prosecutor said. He said that the offences contravened Sections 168, 174 and 411 of the Criminal Law of Lagos State, 2015, as revised. The Magistrate, Mr J. A. Adigun, granted the accused bail in the sum of N100,000 with two sureties in like sum. Adigun said that the sureties should be gainfully employed and show evidence of two years tax payment to the Lagos State Government. The case was adjourned until Feb. 23 for mention.